In 1937, social and economic tensions within the Dominican Republic were redirected at its neighbor to the west, Haiti. Events quickly escalated into a genocidal rampage. 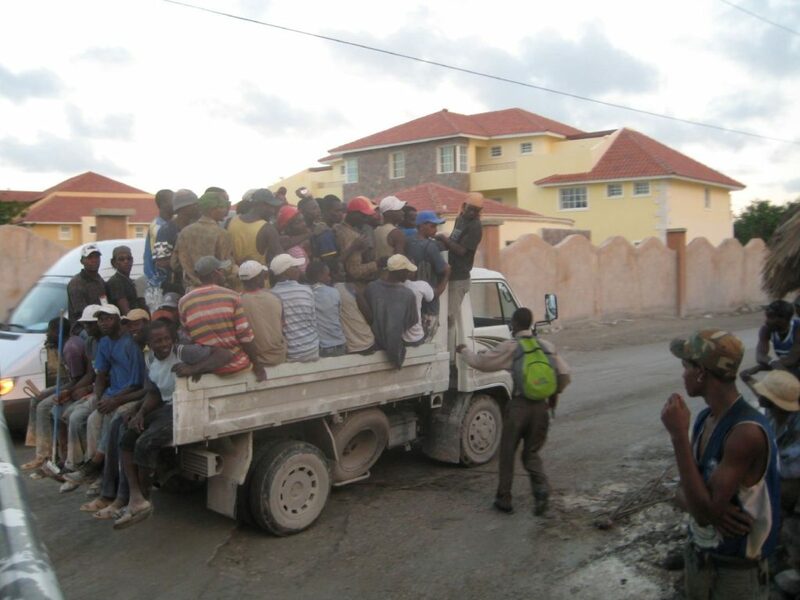 Under the direct order of Dominican dictator Rafael Leónidas Trujillo Molina, soldiers and civilian conscripts targeted those suspected of being illegal Haitian immigrants throughout the Dominican Republic. It’s impossible to distinguish people from different nations based on physical appearance alone. Haitians often have a darker complexion than Dominicans, but of course that is not always the case. If there was any doubt as to whether someone was Dominican or Haitian, soldiers supposedly put their potential victims to a test. A soldier would pull a sprig of parsley from a pocket and ask what it was. Those who answered correctly in Spanish were presumed to be Dominican and were released. Those who mispronounced it were summarily executed or tortured and then executed. Haiti and the Dominican Republic, the two nations that comprise the Caribbean island of Hispaniola, shared a bloody past prior to the massacre of 1937. The entire island was a former slave colony, first under Spanish rule and then divided more or less in half between French rule on the western side of the island — then known as Saint-Domingue — and Spanish rule on the eastern side, then known as Santo Domingo. Fighting and border disputes between the two European rivals continued on the island for hundreds of years, with France controlling all of Hispaniola from 1795–1804. In 1804, rebel forces led by former slaves declared Saint-Domingue’s independence from France and renamed the territory Haiti, marking the first successful slave revolt in the Western Hemisphere. France later abandoned Santo Domingo, leaving it to Spain once again. Santo Domingo then seceded from Spain in 1821, and named itself Spanish Haiti. Only months later, Haitian president Jean-Pierre Boyer invaded the new nation in an attempt to unify the island, consolidate power against the threat of European attack and abolish slavery once and for all in Hispaniola. 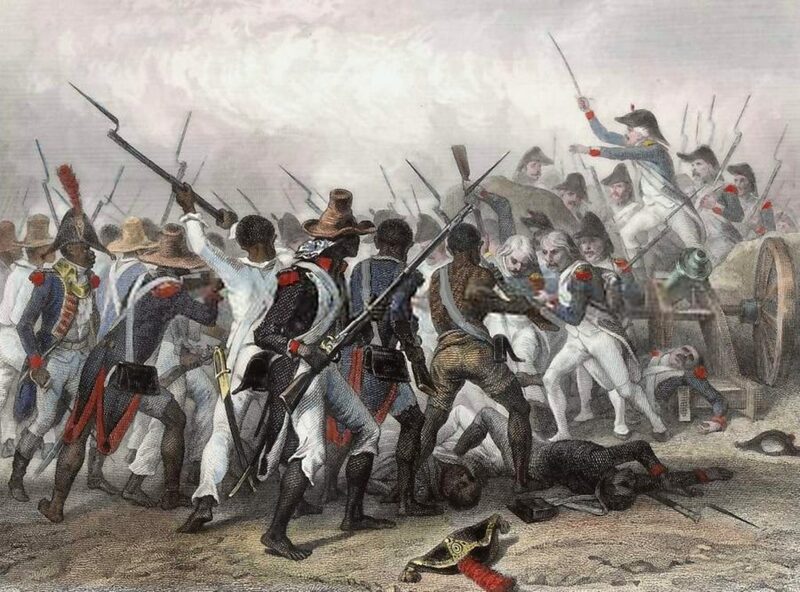 The Haitian military faced little resistance and was initially seen as liberators to many in Spanish Haiti. However, relations with the local populace eventually soured as the economy declined and the populace began to see Haitians as rulers rather than liberators. Haiti withdrew in 1844 after 22 years of occupation. Santo Domingo again declared itself independent and renamed the nation the Dominican Republic, but Haiti continued to invade and briefly occupy the new country off and on for decades. This instilled lingering resentment between the populaces of the two neighboring countries, which was augmented by racial strife between those of African descent, European descent and mixed ancestry. By the early 20 century relations between Haiti and the Dominican Republic had normalized and remained relatively calm for sometime, but internal instability and foreign intervention in both eventually reignited old animosities under the Trujillo regime. The United States invaded Haiti in 1915, after several coups and rebellions there, and occupied it until 1934. The following year, the U.S. military invaded and occupied the Dominican Republic until 1924, initially because of concerns that Germany might use that country as a base to attack the U.S. mainland while World War I raged on. During the eight-year period of U.S. occupation of the entire island, international sugar interests facilitated the ease of travel and immigration restrictions for Haitians wishing to work on sugar plantations in the Dominican Republic. Much of the land in Haiti was eroded and non-arable. The ease of emigration and the faltering economy compelled a growing number of Haitians who were struggling to find work in their own country to either cross the porous border in search of available land for sustenance farming or to seek employment in the sugar plantations, where they eventually comprised the bulk of the workforce. This mass immigration ultimately set the stage for the massacre of 1937. Rafael Leónidas Trujillo Molina, a former general in the Dominican army who had collaborated with rebels who over through the previous president, came to rule by way of a highly rigged election in 1930. He quickly consolidated power, but by 1937 he faced growing dissent due to his authoritarian policies and economic decline within the Dominican Republic related to the Great Depression. It’s difficult to decipher exactly why Trujillo issued the order to massacre Haitians in 1937. The Haitians settling along the borderlands and working in the sugar plantations made for easy scapegoats for the Dominican Republic’s economic woes. There had also been some reports, according to the Dominican government at least, of crimes perpetrated by Haitian immigrants in the borderlands. It is likely that Trujillo saw the Haitian immigrants as a means of both redirecting Dominicans’ anger over economic hardships away from him and also sending a bloody message to the Haitian government. “For some months, I have traveled and traversed the border in every sense of the word,” Trujillo said in a speech given in early October 1937. While some historians say Haiti’s previous invasions of the Dominican Republic had long been forgotten and there was no significant anti-Haitian sentiment in the country at the time, Trujillo’s speech undoubtedly helped reignite historical enmity Dominicans harbored for their Haitian neighbors. Within weeks, Dominicans would be engaged in the wholesale massacre of Haitians. Dominican soldiers also introduced the practice of carrying parsley. When the soldiers found someone they considered suspicious, they would hold out sprig of the leafy, green herb and ask the suspect what it was. Other accounts say soldiers would simply ask suspects to say “perejil,” the Spanish word for parsley. Haitians primarily speak French and the French-based Haitian Creole, while Dominicans speak Spanish. Linguistic differences in the languages cause Haitians, even those fluent in Spanish, to often pronounce the “r” in perejil with a flat “y” sound, while Dominicans give it a heavy trill. Failure to trill the “r” meant death, regardless of age or gender. While the massacre took place across the Dominican Republic, it was focused in the border regions, where many Haitian immigrants had crossed over and settled land on the Dominican side. Estimates on the death toll vary, of course, but by mid-October, up to 25,000 Haitian men, women and children had been murdered by Dominican soldiers and civilian conscripts. Some of them were shot, but most were beaten or hacked to death with swords and machetes. Dark-skinned Dominicans mistaken for Haitians also fell victim. Loads of bodies were dumped in Massacre River, which had been “ominously named” for an earlier French-Spanish colonial encounter, one BBC reporter noted. There remains some question of how often the parsley test was actually used against Haitians. Many Haitians were outed by neighbors or identified in other ways. There is enough evidence to suggest that it or similar linguistic tests were in fact employed on occasion. Eighty years later, the massacre remains widely unknown outside of Hispaniola. Even among Haitians and Dominicans, the history of the massacre remained obscure until groups such as Border of Lights began calling attention to it in recent years. Middlebury College professor Julia Alvarez, who grew up in the Dominican Republic, did not know of the massacre until Border of Lights commemorated its 75th anniversary in 2012. Alvarez told NPR’s Tell Me More she felt “revulsion” when she first learned of it. “It requires us acknowledging it, giving testimony,” Alvarez added. After hearing about the “Parsley Massacre,” as it has become widely known, she helped organize Border of Lights events along the Haitian-Dominican Republic border. Despite many people being unaware of the massacre, it remains a haunting historical moment for those Haitians and Dominicans who are familiar with its legacy. Haitian American writer Edwidge Danticat’s 1998 novel The Farming of Bones gives a fictional account of the massacre through the eyes of Amabelle Desir, a Haitian house servant who is caught up in the massacre. In the novel, which surely takes artistic liberties while capturing the essential truth of the massacre, Desir witnesses numerous people being taunted, tortured and executed by soldiers and civilian conscripts. Some are forced to eat handfuls of parsley, their bodies left with mouthfuls of it. These horrors are juxtaposed with the wondrous, innocent and even mundane role that parsley had played in Haitians’ everyday life before the massacre. While genocides and massacres are always horrifying in their enormity and chilling in their details, there is one thing that stands out about the Parsley Massacre. At the time it occurred, there was no longstanding anti-Haitian sentiment in the Dominican Republic. Memories of the hostilities from the previous century undoubtedly lingered, but they were largely dormant. There was a relative peace. “What makes the 1937 Haitian Massacre different from other genocidal massacres is as written in [Robin L. H. Derby’s] Estudios del terror y los terrores de la historia, is that an ideology of hate demonizing Haiti and Haitians as state doctrine appeared after the mass murder violence not before,” reads a page on the Border of Lights website. If there was no significant antihaitianismo prior to Trujillo, then part of his brutal legacy is its longevity. Since 2013, tens of thousands of Dominicans of Haitian descent have been deported or fled the country after a federal court stripped citizenry from anyone of Haitian ancestry born in the country after 1929. At the time of the court ruling, there were an estimated 210,000 Haitian Dominicans who effectively became people without a country.